Stories are much more than entertainment—they shape our world. They have inspired the rise and fall of empires and nations, sparked our understanding of basic political and philosophical concepts, and given rise to religious beliefs. In this talk, Martin Puchner, author of the bestseller The Written World, will discuss how literature has influenced the course of history with Prof. Dr. Eckart Goebel. Their discussion will focus on the intersection of storytelling and writing technologies, including the inventions of paper, parchment, print—and the internet. His most recent book, The Written World, which tells the story of literature from the invention of writing to the Internet, has been widely reviewed in The New York Times, The Times (London), the Financial Times, The Atlantic, The Economist, among others, covered on radio and television, and is forthcoming in over a dozen languages. In hundreds of lectures and workshops from the Arctic Circle to Brazil and from the Middle East to China, he has advocated for the arts and humanities in a changing world. At Harvard, he has instituted these ideas in a new program in theater, dance and media as well as in the Mellon School of Theater and Performance Research. 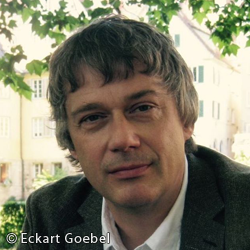 Eckart Goebel is a professor for German and Comparative Literature at the German Department of the University of Tübingen. He studied Literary Studies and Comparative Literature, Philosophy and German Studies at the Freie Universität Berlin and German Studies at St. Hugh’s College, Oxford. Goebel further received his PhD in General and Comparative Literature at Freie Universität Berlin. 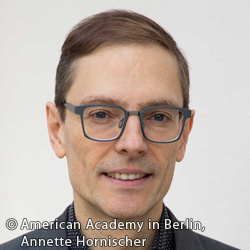 He taught for ten years at the New York University and was a fellow at Wissenschaftskolleg zu Berlin.